Visit Knoxville's Tourism Board helped us investigate what Knoxville has to offer travelers. They showed us around town so we could bring the best tips back to you. Have you ever driven in Tennessee along I-40? The rolling hills are enough to distract the most conscientious driver. During the spring, the scenery resembles hills scattered with bright green broccoli heads. In the fall, it's a kaleidoscope of orange and red. Knoxville is a city along I-40. We had always driven through or used it as a mile-marker..."ahhh, we just passed Knoxville...only a few more hours till X-destination." We finally decided to make Knoxville our final destination, and boy we were surprised at what it had to offer! Knoxville is on the map as the location of UT: University of Tennessee Knoxville. And like most college towns in the South, its fanbase takes a hard line against opponents and is committed to its team, notably marked by the orange "T". Known as the Vols, if you dial the team name V-O-L on a phone, you actually get Knoxville's area code: 865. An occurrence that is most definitely not by chance. On game days, a variety of fan boats congregate in the Tennessee River, right outside the stands of Neyland Stadium to form Vol Navy. In a tradition known as sailgating, Vol Navy brings the merriment of football season to the water! Knoxville was also the location of the 1982 World's Fair, for which one of its most popular landmarks, the Sunsphere, was constructed. Key buildings were constructed in the 80s to support the World's Fair, including a grand Hyatt hotel and large convention center. Today, Knoxville is reusing and revitalizing many of those structures, including the Hyatt hotel which is known today as Hotel Knoxville. Undergoing a massive transformation to Tennessee's first Delta Hotel by Marriott, opening in 2019, the large cement building with an inner atrium is a heavy monument to the past. Often compared to Austin for its budding hipster and foodie scene, or Portland for its artsy roots, Knoxville is a scrappy little town that is fighting for its own identity. Like an overlooked middle sister between its popular Nashville and Asheville siblings, Knoxville has a distinct East Tennessee soul. You just have to take a second to look. Residents tout a popular saying, like an inside joke to which visitors are not privy: Keep Knoxville Scruffy. "A scruffy little city on the Tennessee River" was the way that a Wall Street Journal reporter trivialized Knoxville back in 1980. Rather than fade away into the tourism night, Knoxville reclaimed that scruffy title, much like Austin did with the slogan: Keep Austin Weird. Embracing its country music history, playing on its unique strengths, and getting comfortable in its own scruffy skin full of locally-owned businesses and breweries, Knoxville has happily carved out a laid-back persona that welcomes skeptics. Like a city blooming in middle-age, Knoxville is growing in its confidence, acknowledging, "sure, we aren't Nashville, or Asheville, or Chattanooga, and we're perfectly ok with that." If you'd rather come by plane, you can fly directly into Knoxville's McGhee Tyson airport. However, most road trips in the south take you through or near Knoxville. A two-and-a-half hour's drive from Nashville, Knoxville is centrally located in the fun zone. What fun zone, you ask? The sweet triangle comprised of Nashville, Chattanooga, Atlanta, and Asheville. Day and weekend trips abound in the fun zone. You can confidently add Knoxville to the list of destinations in this southern triangle! Old City is characterized by its art galleries, brick loft buildings, swanky dinner joints, and foodie hole-in-the-walls. It's the part of town where the nights are reserved for adults (who secured babysitters for their brood) or young professionals (looking for a reprieve from the workweek). Be sure to visit Old Pretentious Beer Company and Old Pretentious Glass Company, the only place on earth where you can drink beer distilled on site from glasses blown on site. Within seconds of visiting the shop, I immediately knew why the name "Pretentious Beer Glass" was a perfect fit. A combo glass blowing gallery and brewery next door, you are able to participate in glass blowing workshops each weekend. Each year in June, the sports world descends on the Women's Basketball Hall of Fame to celebrate the induction of new members. If your sports hero is a woman on the basketball court, make sure this stop is on your Knoxville itinerary. You'll enjoy learning how women fought hard to be taken seriously on the courts. With a focus on remembering the past, details like the 1920's impractical uniforms of knee-length pantaloons and long-sleeved shirts are starkly contrasted against what we see today in women's basketball. Don't miss the kids' zone downstairs. They can shoot balls into historical hoops dating and practice dribbling techniques. Zoo Knoxville does an impressive job of educating visitors on wildlife conservation. Knoxville is known as the red panda capital of the world due to the efforts of Zoo Knoxville's premier breeding program. But typically travelers don't make decisions on the worthiness of a zoo visit based on behind-the-scenes programs like these. Instead they want to know this one thing: does the zoo have a lot of cool animals to see? Catch the bird show that features Einstein, the zoo's ambassador. She's a famous African grey parrot with a lot of personality. Featured on TV shows such as The Tonight Show with Jimmy Fallon, Einstein is impressive and entertaining. Does size matter...when visiting a children's science museum? I used to think it did. Show me a MEGA-SIZED building with 5 floors of hands-on experiences for kids and I'm a happy family travel writer. So, I have to say, when I encountered the small, globe-like building that resembled more of a daycare than a science museum, I was disappointed. Ready to dole out apologies to bored kids, I entered, and a miracle of the fish-and-loaves kind happened. Despite the fewer exhibits, the imagination scale was off the charts. I had to coerce my kids to leave the first STEM section so we could finally move on to other displays. We went to the Muse twice during our stay in Knoxville; they still did not see and play with everything. No apologies given. No boredom encountered. Check the showtimes for the planetarium shows prior to your visit. Since it's so small, and there could be large school groups, you may want to reserve your showtime in advance. Navitat is a tree-based ropes and zipline course deep in the heart of the IJams Nature Center. IJams, Knoxville's 15-acre nature center where Navitat is housed, is pronounced (eye-ams), like the dog food. High in the green-leafed forest, adventurers test their courage with different bridges, tunnels and nets. Thrills for the entire family can be found here as there are varying levels of courses in which to partake. To avoid the draining heat of the summer, try Navitat at Night. The forest is lit with white-stringed lights, making it worthy of a backdrop from a fairy-tale. Use the ambiance of the lights and the constellations of the stars above to guide your way. A free activity, located on the outskirts of the UT campus, this is a budget-friendly option to those wanting a rich, cultural experience while visiting Knoxville. With a small art room for kids with hands-on activities, this stop shouldn't be ignored by families. There is a nice seating area on the second floor that overlooks downtown Knoxville and the Sunsphere. Another stop with FREE admission is the golden globe called, the Sunsphere. Imagine the Space Needle, just on a smaller scale. Visitors take a quick elevator ride up and to the top floor where they can read interesting facts about the city as they take-in the views of the surrounding area. Cities that are situated next to water seem to have a tourism advantage! And destinations that know how to capitalize on this asset make the best weekend spots. Knoxville is no exception. Not only are there businesses that provide watercraft rentals, like Outdoor Knoxville, but there is a special park along the river with a view of downtown where visitors can catch their breath. Suttree Landing provides a relaxing landscape for weekend travelers, especially those with young children. With wildflowers, rolling grassy hills, walking trails, and a large playground, Suttree Landing is great for picnics and strolls and simply regrounding a busy life after a hectic workweek. One of the hottest spots in town is Market Square. Shops and restaurants located in the heart of downtown, this is one of the main gathering spaces for popular Knoxville events. The vibrant square is lined with talented buskers, outdoor restaurant patios, and a splash pad area for children. One can almost feel like they are seeing the heart of Knoxville in its entirety when exploring Market Square. Welcome to South Gay, the main street of downtown Knoxville. The sidewalks here are abuzz with a mixture of tourists, residents and visiting college athletic teams. 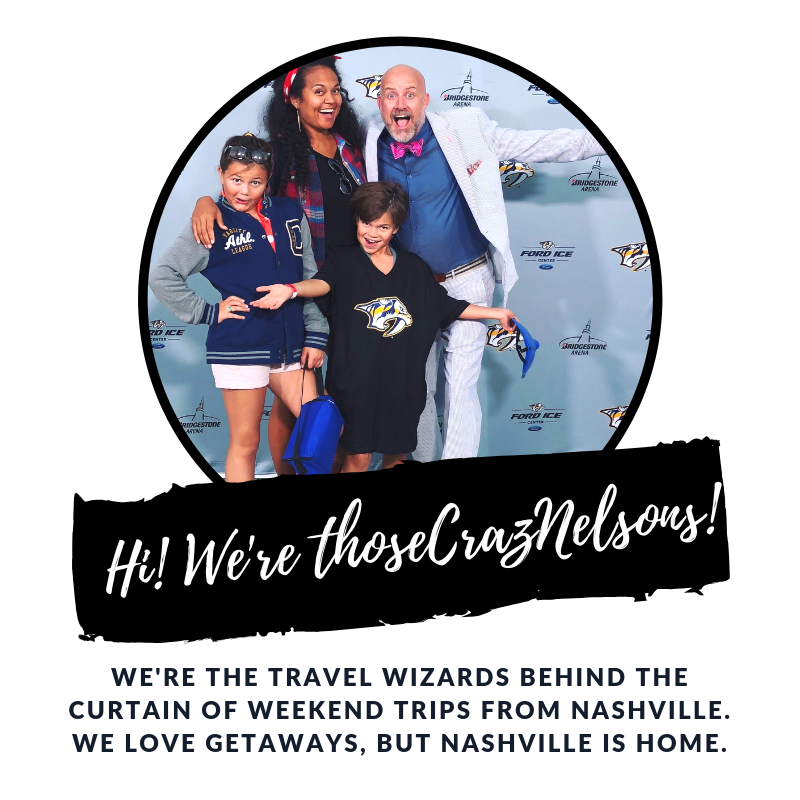 Additionally, there are restaurant sidewalk patios, bike shares, famous landmarks like the Tennessee Theatre, the Museum of East Tennessee History, and the newly remodeled Visitors Center. The major artery of the downtown area, this is where the old soul of Knoxville intersects with modern-day. Here, downtown business owners seem to have capitalized on the historic nature of the buildings while serving a 21st century crowd. Maple Hall is a prime example of this. Housed in the historic JC Penney's building dating back to 1898, Maple Hall is a hyper-stylish event center with a lounge, private VIP area, and bowling lanes. Visitors are treated to a glimpse of the past with over 100 year-old original brick walls and a chandelier made from original rubble found in the building. Stop in at noon for a live Blue Plate Special concert in the Visitors Center, hosted daily (except Sundays). Admission is free. Catch a show at the Bijou Theatre. Get all your vintage, childhood candies from the Mast General Store. 1. Follow Visit Knoxville on FB to stay abreast of upcoming events. 2. Download Visit Knoxville app to build a customized itinerary. 3. Ditch the car and plan to bike around town. 4. Save money; skip Uber with these FREE trolley rides around downtown. 1. Greetings from Knoxville mural at K Brew coffee shop in North Knoxville. 2. Colorful steps at the corner of Cumberland Ave. and 11th. 3. Strong Alley, located off Market Square in the alley between Union Ave. and Wall Ave.
Hungry for more? Take a walking mural tour. And be sure to tag @ThoseCrazyNelsons when you do! We love seeing you hit the road.